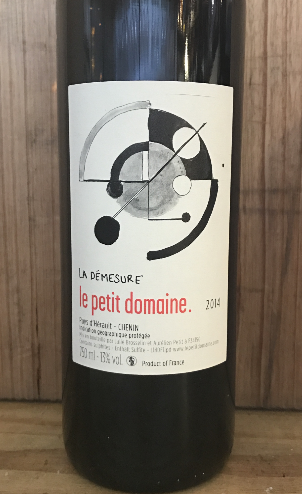 2014 Le Petit Domaine 'la Demesure' Chenin Blanc. Languedoc Roussillon-FRANCE. Established 3 years ago by Julie Brosselin and Aurélien Petit. Between them they have practised oenology, been a caviste, tendered vineyards, made wine and now they've restored a couple of abandoned old vineyards located near Montpeyroux. Organic farming principals in the vineyards with only manual intervention. From the vineyard to the bottling, everything is done to respect the natural qualities of the fruit and wine. Minimum intervention in the cellar which implies a rigorous and careful monitoring of each step of the creation of their wines.